Zigi's interview by Dr. Susanne Becker for the cultural program Aspekte, ZDF German TV. About the proposed government cuts to the National Endowment for the Arts. 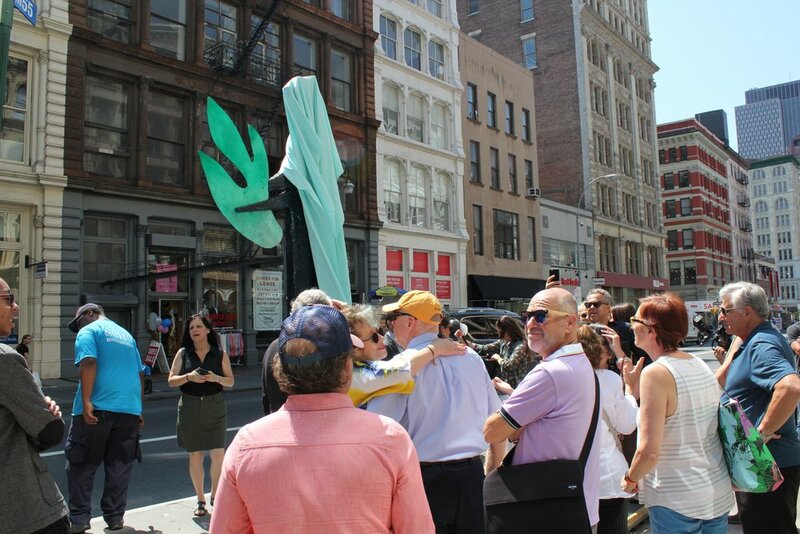 On Wednesday, August 9th, Zigi Ben-Haim unveiled his sculpture, Treasure the Green, in SoHo on Broadway. 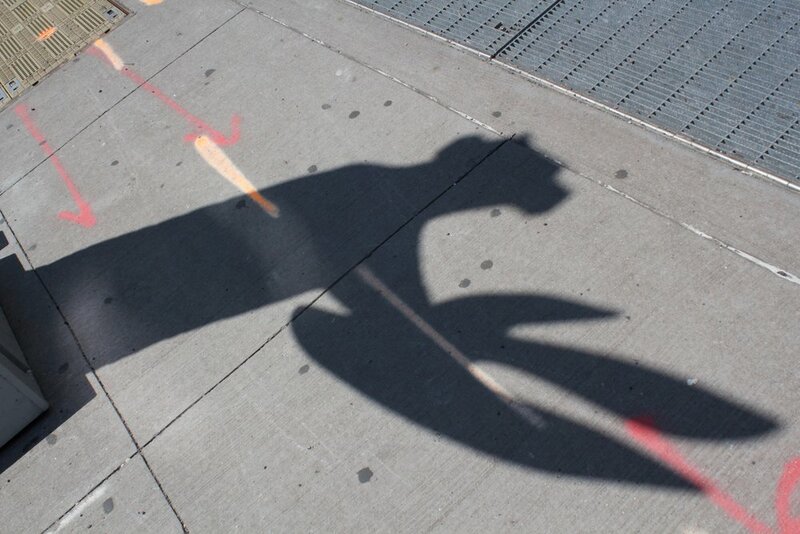 The project was sponsored by the SoHo Broadway Initiative and the New York Department of Transportation. Assistant Commissioner, Wendy Feurer, talked about the DOT Art Program, and mentioned that Treasure the Green is the first sculpture to receive permission to be installed on a bus bulb on Broadway. 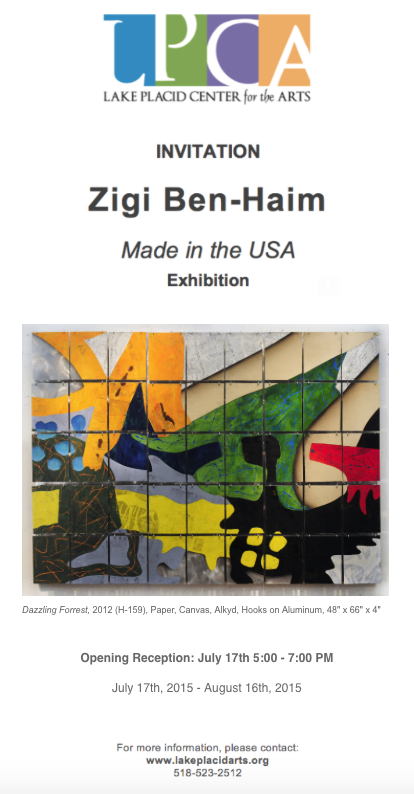 Joining the best up and coming artists and entrepreneurs in the SoHo area, Zigi discussed his latest sculpture commission "Treasure the Green" and how SoHo has been an inspiration to his life as an artist. Night Sail, 1990 Stainless Steel and Copper 112" x 120" x 40"